What Are CO2 Emissions Allowances? How to Offset CO2 Footprint? The carbon price is extremely volatile and depends on numerous objective or subjective factors. Therefore, you need a professional to anticipate the market and recommend the best time to sell or purchase carbon allowances or exchange EUAs certificates into CERs or ERUs international credits. Carbon Expert team remains at your service to help with your greenhouse emissions transactions (EUAs , EUAA , CERs and ERUs) within the European Emissions Trading Scheme (EU ETS) since your business needs to optimally benefit from the CO2 trading and focus on its primary activities. Do you want to benefit from the opportunities of the international voluntary carbon market? 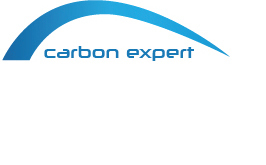 Carbon Expert offers consultancy in the development of projects for obtaining voluntary carbon allowances to companies active in renewable energy (wind, solar, biomass, bio-gas, hydro), recycling plastics and aluminum and many other types of activities that generate CO2 savings or reductions. Do you want to reduce your carbon footprint generated by activities that you carry out? We are here to guide you on how is the best way in achieving this operation. Carbon Expert team offers you deep understanding of international carbon market mechanisms and trends as well as market opportunities of voluntary emissions markets by reducing the carbon footprint generated by the activities you undertake. Since we actively participate in United Nations Conferences on Climate Change, we better understand the developments and opportunities in this field, in medium and long term. We would like to share with you any news related to environment issues, such as greenhouse gases emissions or CO2 emissions at European and international level (UNFCCC, emerging carbon markets – China, Australia, South America etc.) or voluntary carbon markets. We also offer advice on choosing trading options for CO2 credits or carbon certificates and in the implementation of energy efficiency projects, including high efficiency LED lighting projects, as well as projects conducted to get voluntary credits for companies active in renewable energy (wind, solar, biomass, biogas, hydro ), recycling plastics and aluminum and many other types of activities, which save or reduce CO2 emissions. We assist foreign partners who wish to address Romanian carbon and energy markets.